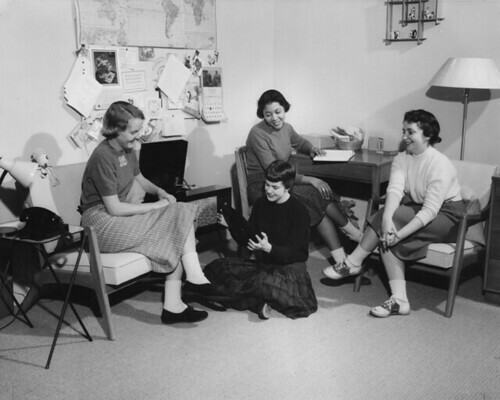 I stumbled upon these amazing old photos of female college students at Michigan State University. All of these are from the MSU archives photostream on Flickr. 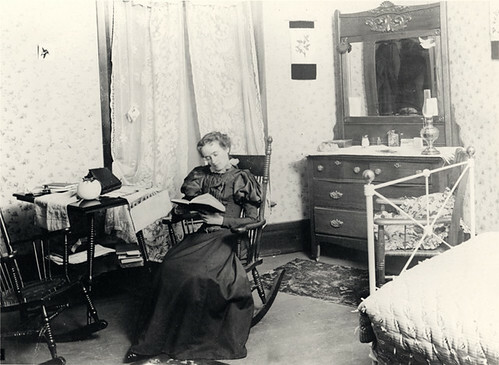 Above: A female student reading in her dorm room in 1896. Soooo Victorian, no? Wallpapered walls, antique furniture, and floor-length dresses. I love the iron bed. 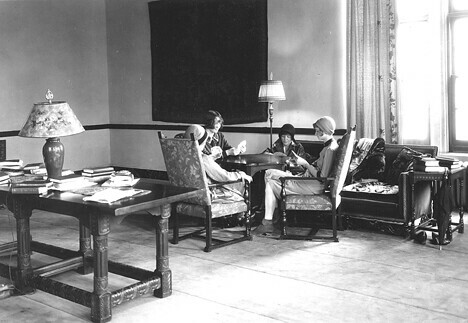 Above: Women in the dorms in the early 1920s. I adore their bucket hats. 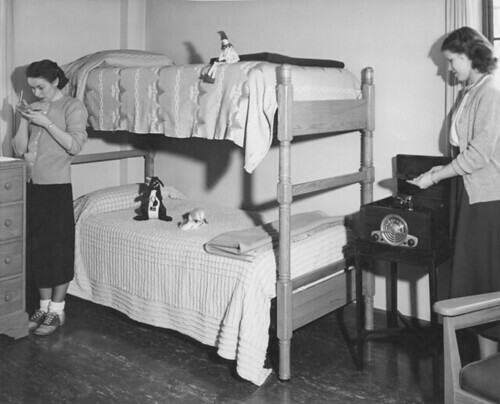 Above: Ladies dorm life in the 50s. That's a big dorm, isn't it? And I'm jealous of their beautiful paned windows. 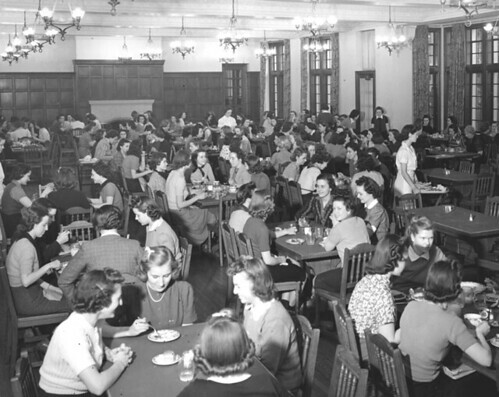 Above: A busy cafeteria in a girls' dorm in the 1950s. 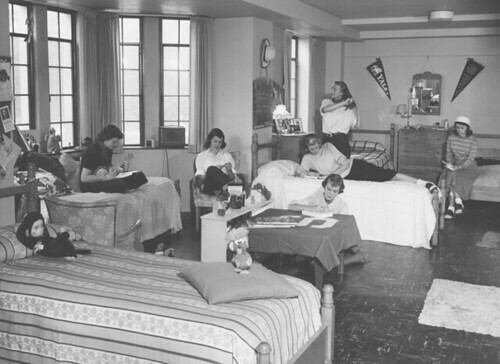 Above: Women's dorm in the 50s. I can't get over how pretty all the girls are in this photo. 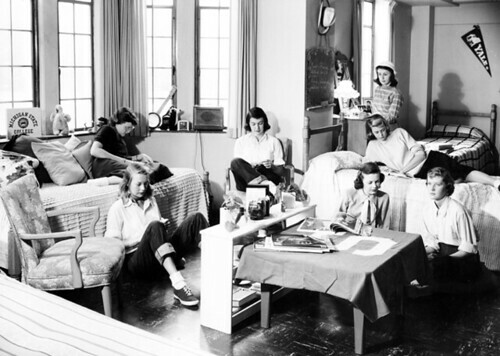 Above: Girls listening to records in a dorm in 1958. Looove the Mid-Century Modern furniture, don't you? I really enjoy looking back on old photographs that show what life was like for college students throughout our nation's history. While many things have changed, there is something so timeless about these collegiate gals.